Departing from St. Petersburg on July 14, 2020, prices starting at $5,999. River Victoria’s elegant décor was thoughtfully designed to provide guests with all the comforts of home during a grand tour of Russia’s imperial cities and timeless landscapes. 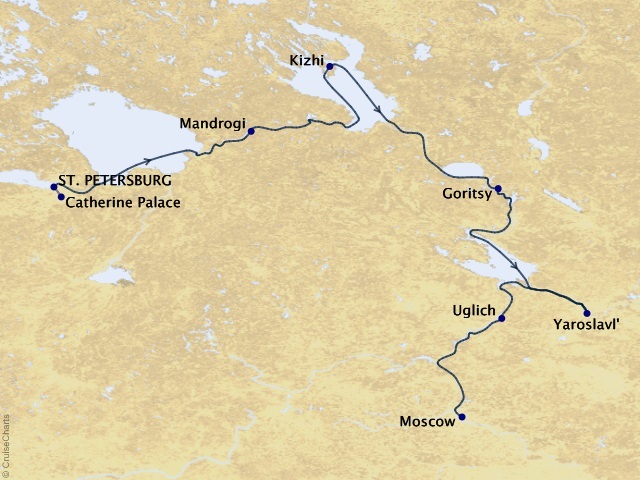 From Moscow to St. Petersburg, travel in style and comfort as you follow in the footsteps of Peter the Great down the Volga, Neva, and Svir rivers, Russia’s most legendary and scenic waterways.